Tai chi – an ancient martial art. Tai Chi – a moving meditation. 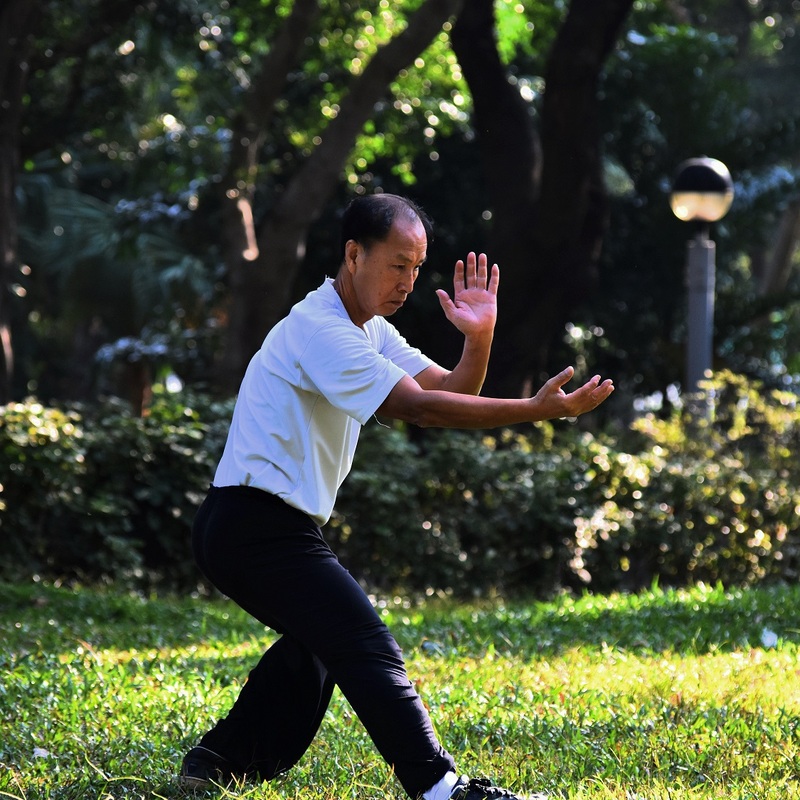 Tai Chi – an exercise for the body and mind. Tai Chi is a series of slow continuous movements to strengthen the body and calm the spirit. It will emprove your balance while helping with overall better health. It is an art form which can be enjoyed for a lifetime. Class begins Tuesday, 10/23-12/18, 6:30-8:00pm, cost is $79. This class is held at Weldon Elementary School’s MPR (Multi-Purpose Room), the school is located at Third and DeWitt in Clovis. Register on our website, by phone at 559-327-2876, or stop by the Community Ed office on the Clovis Adult Education campus, located at 1452 David E. Cook Way, near the corner of Herndon and Sunnyside. Learn Something New about Tai Chi with Clovis Community Ed! Learn the very basics of yoga poses from the ground up. this class is for beginners and those wishing to become more confident with their poses, even if they have practiced before. We learn individual poses as well as common sequences. Become confident you are getting the poses correctly and safely, and become confident to attend traditional studio classes. Class begins Saturday, 10/27 from 1:30-3:30pm, six classes for $69. This class meets at the Heal One World Studio near the corner of Bullard and First, in Fresno. Register on our website, by phone at 559-327-2876, or stop by the Community Ed office on the Clovis Adult Education campus, located at 1452 David E. Cook Way, near the corner of Herndon and Sunnyside. Learn Something New about Yoga with Clovis Community Ed! Whether you are wanting to get in shape, or stay in shape – this class has it! Men, women, young or old, feeling good and staying active can be fun! Stretching, flexibility, cardio, strength training, and light free weights are all done to motivating music. This class will give you energy and help you de-stress! 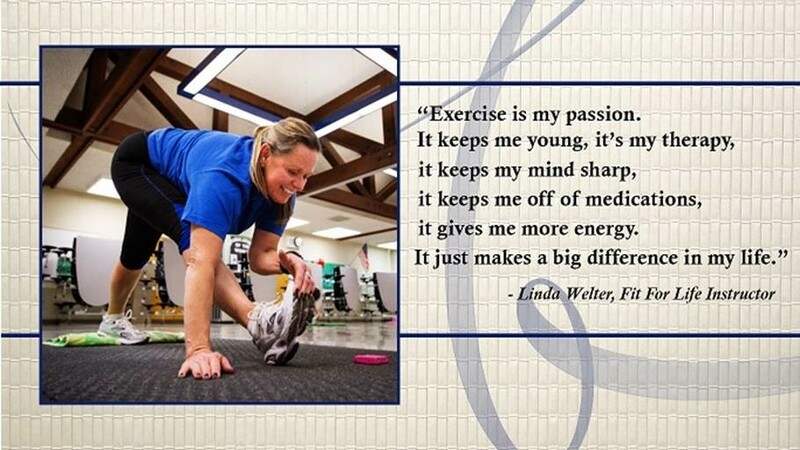 Our instructor has been a physical fitness educator for over 35 years. This class promises to be the most fun you will ever have getting “Fit For Life!” Feeling good feels GOOD! Class begins 10/23 – 12/13, Tuesday & Thursday evenings from 6:00-7:00pm – 14 classes for $99. This class is held in the MPR (Multi-Purpose Room) at Sierra Vista Elementary School on the corner of Barstow and Pollasky in Clovis. Learn Something New about getting Fit For Life with Clovis Community Ed! We have two great dance classes starting next week! Instructor John Hernandez has over 30 years of dancing experience, and welcomes all of you for a dancing experience full of fun and excitement. Basic Swing – Learn this dominant style of Swing! Known as one of the traditional and basic dances, Swing can be danced to a variety of music such as Rock, Oldies, Country, and Latin. Class will be structured for beginners and the novice dancer. Learn the basic steps with techniques on how to lead and follow. Patterns in this class are designed to make the student confident about his or her ability to execute them in a social setting. this is a partner rotating class where singles and couples are welcome. Class meets on Tuesdays from 6:30-8:30pm, 9/11-10/16, at Mountain View Elementary School, located at 2002 E. Alluvial Ave, on the corner of Alluvial and Maple. Cost is $69. Basic Ballroom – Has all the dance coverage on television excited you? Join the class and learn swing, cha cha and salsa. Class will be structured for beginners and will include basic steps, leading, following techniques, and patterns designed to make the student confident to execute them in a social setting. This is a rotating partner class where singles and couples are welcome. Class meets on Wednesdays from 6:30-8:30pm, 9/12-10/17, at Maple Creek Elementary, located at 2025 E. Teague Ave, corner of Teague and Maple. Cost is $69. Register for classes on our website, by phone at 559-327-2876, or stop by the Community Ed office on the Clovis Adult Education campus, located at 1452 David E. Cook Way in Clovis, near the corner of Herndon and Sunnyside. 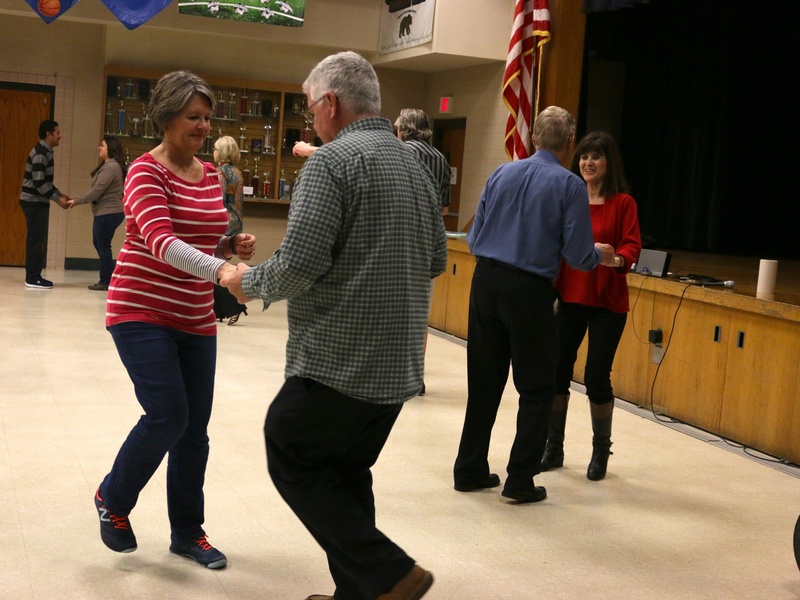 Learn Something New about dancing with Clovis Community Ed! Do you need some lively exercise in your life? Do you remember being a kid and just picking up that hula hoop and just going for hours while listening to your favorite tunes? This class is designed with fun in mind! You will be amazed at how hula hooping strengthens your core and helps with balance. It is a fun, motivating way to get your exercise! 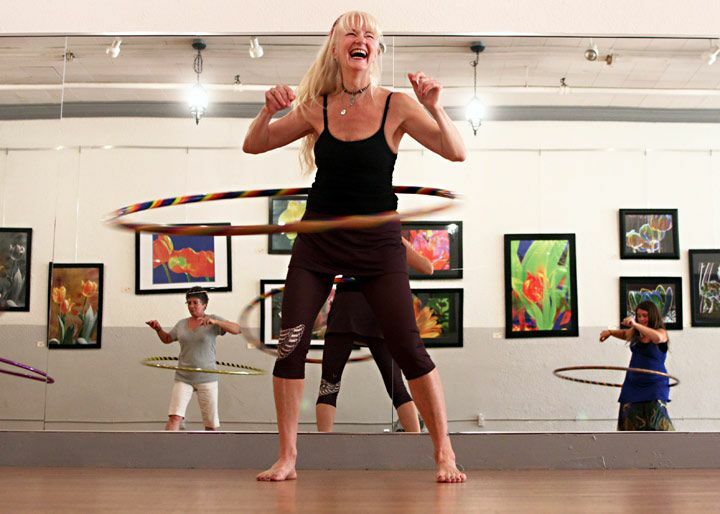 Some hula hoops are available for class use, but if you have your own, bring it to class! Class starts next week – M/W/F 8/27-10/19 from 8:10-8:50am, 23 classes for just $99. It’s great fun! Register today on our website, by phone at 559-32-2876, or stop by the Community Ed office on the Clovis Adult Education campus, located at 1452 David E. Cook Way, near the corner of Herndon and Sunnyside. Learn Something New and FUN about fitness with Hula Hoop Fun and Clovis Community Ed! Gentle Yoga is great for those who are not comfortable in a flow yoga environment. Poses are held for a longer period of time, injuries are considered, and modified poses are offered. Great for seniors and those wishing for a more nourishing practice. Beginners are welcomed and encouraged! Class meets Mondays and Wednesdays, 8/27-10/17 from 6:00-7:00pm, 15 classes for $89. Class is held at the Heal One World Studio, located at 670 E. Bullard Ave. Suite 105 in Fresno, near the corner of Bullard and First. Register on our website, by phone at 559-327-2876, or stop by the Community Ed office on the Clovis Adult Education campus, 1452 David E. Cook Way in Clovis, near Herndon and Sunnyside. Learn Something New about yoga with our new Gentle Yoga class at Clovis Community Ed!